A first story book for those beginning to learn Spanish. 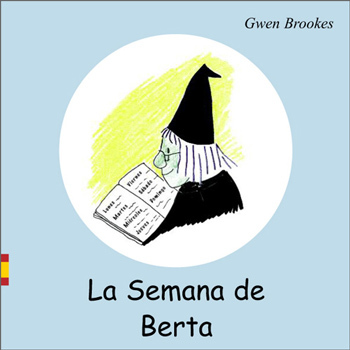 In La Semana de Berta, Berta the witch has a busy week - read along to find out what she gets up to on each day. The simple Spanish sentences and delightful pencil illustrations will appeal to early readers. There are some simple word puzzles at the back of the book, together with a Spanish-English word list containing all of the words featured in the story. The Spanish-language text in this book is simple as it is aimed at complete beginners.